Our Specialty High Net Worth division provides your successful clients with protection from A.M. Best A- or Better Rated carriers such as Chubb, AIG, Ironshore Private Client, and more. Download our carrier marketing materials to share with your clients. Whether you’re in a new house or have lived there for years, we understand the care and effort it takes to turn a house into your home. And we want to make sure you always feel at home, even if something happens and you need to repair, replace or rebuild. 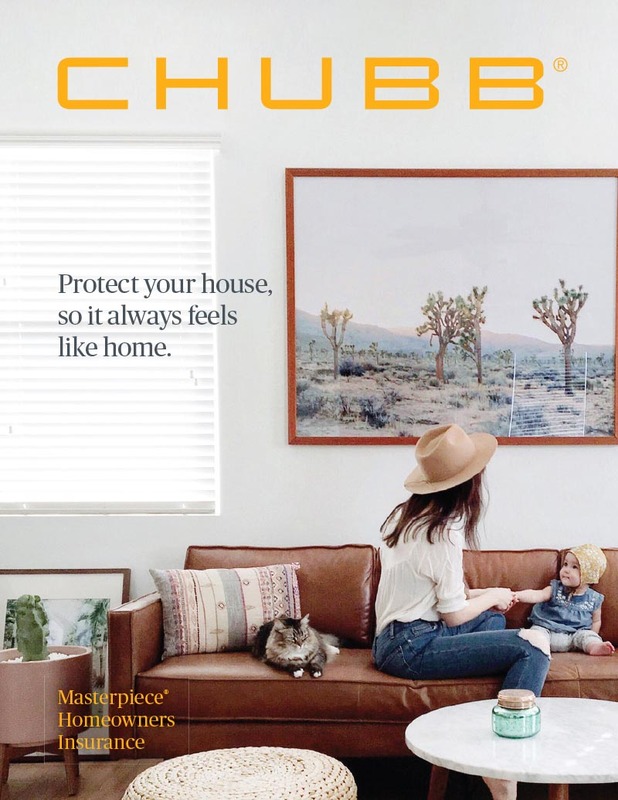 This chart compares Chubb’s Masterpiece Deluxe home and contents and personal liability coverages with those included in standard ISO industry policies offered by many well-known, Mass Market insurance companies. 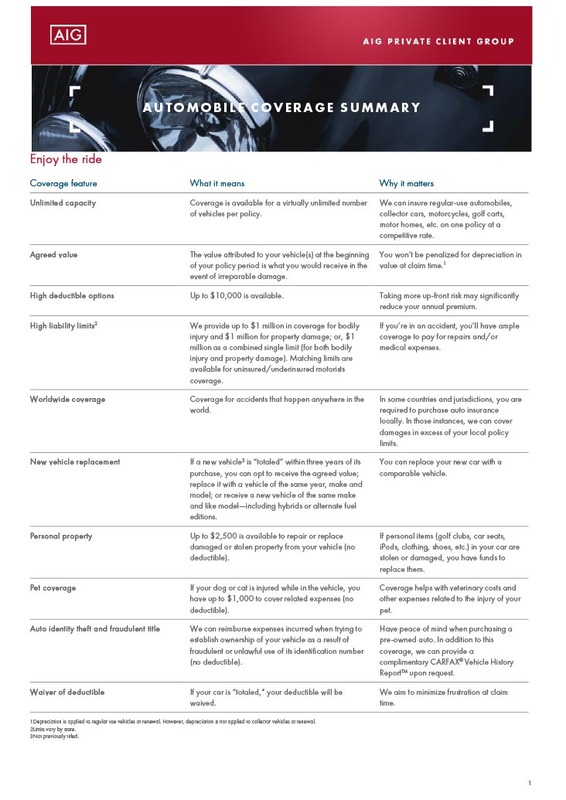 We encourage you to consider these differences as you evaluate the kind of insurance policy that is most appropriate for your individual needs and lifestyle. Even if you don’t live near the water, protecting your home from unexpected flooding is important. A homeowners policy alone isn’t enough, which is why we provide the added protection you need with a separate flood policy. 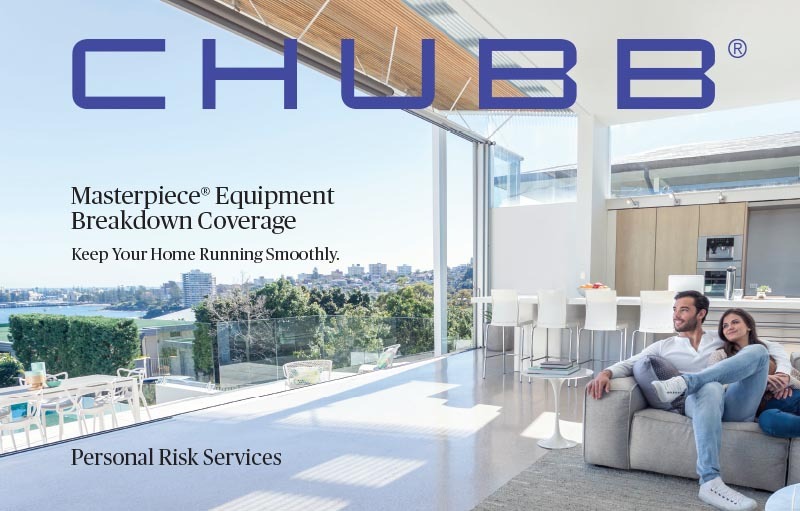 At Chubb, our industry-leading coverage ensures that your flood insurance goes above and beyond the bare minimum. Our priority is doing what it takes to make you whole again. Building your dream home or remodeling your current home is costly and time consuming. In our experience, construction and renovation have the potential to significantly increase the chances of an accidental fire or other damage. Excess/umbrella liability insurance responds when the underlying liability limits of your other policies, such as home and auto, aren’t enough to cover the unexpected costs of a lawsuit or accident. You may take them for granted, but the systems in your home help keep your life running smoothly. A kitchen range enables you to cook the perfect meal. The HVAC system keeps your family cozy on a cold winter night. A pool pump lets you enjoy a hot summer day. Your electrical system powers the lights, coffee maker, Wi-Fi, and so much more. In fact, you probably don’t often notice your home equipment until it stops working. And if it does, you’ll want to get back to normal—quickly. 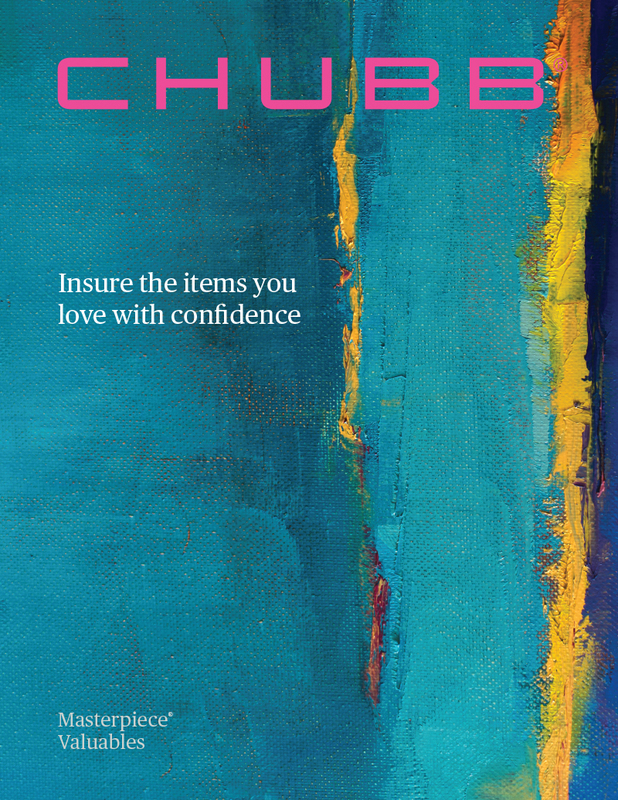 While typical homeowners’ policies are designed to protect your home and what’s inside, there is usually limited coverage for valuable possessions that may get lost, stolen, or damaged. 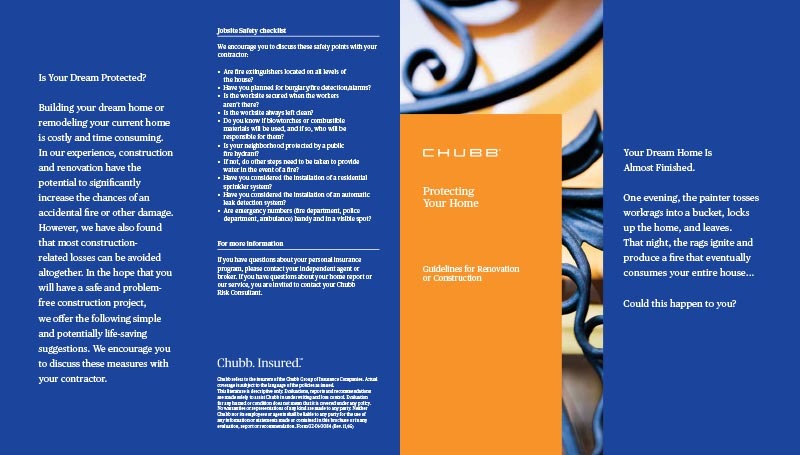 That’s why with Chubb’s Masterpiece coverage, you can protect the special possessions that matter to you. 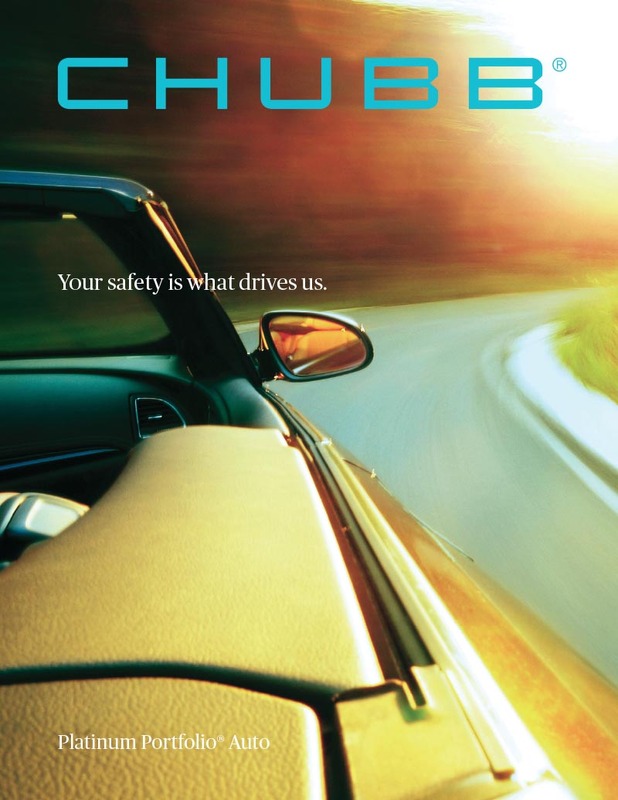 Chubb has been insuring cars since they were first invented – everything from everyday cars to high-end, luxury vehicles. We respond quickly and professionally to our customers, regardless of whether they’re in a small accident or a large catastrophic event. We insist on the highest repair standards to keep our customers safe. Where you live says a lot about how you got there. We understand that your home—be it a suburban showpiece, coastal getaway, urban loft or other fine property—is one of the most important aspects of your successful lifestyle. AIG Private Client Group, a division of the member companies of American International Group, Inc. (AIG), can build a robust yet simple plan to insure it properly. 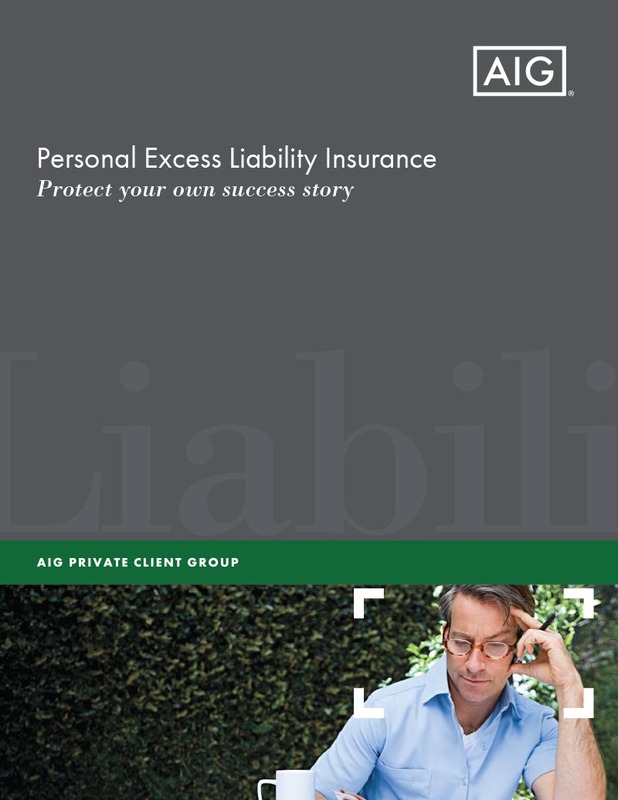 AIG Private Client Group offers “All-risk” coverage, high deductible options, guaranteed rebuilding cost, cash settlement option, sewer back-up, and more. 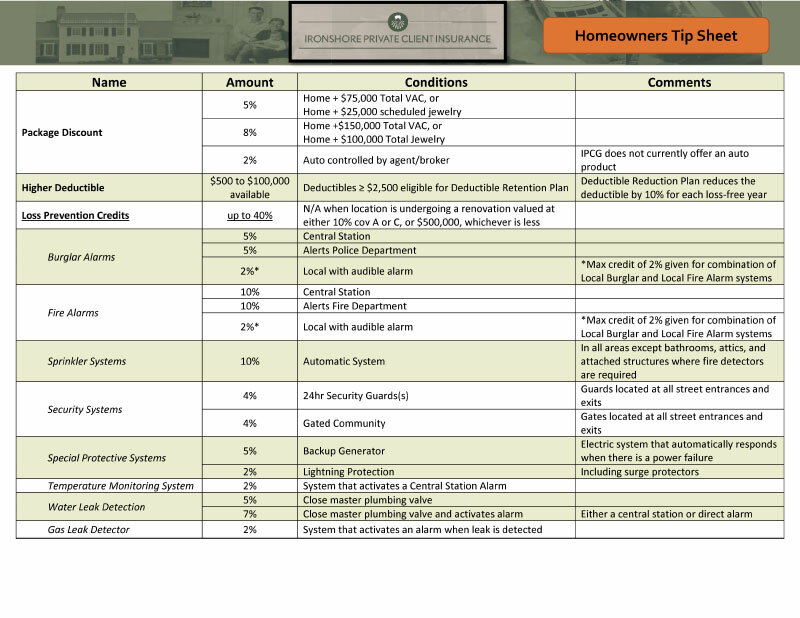 See everything available with AIG Private Client Group with this Homeowners coverage summary. If a lawsuit threatens the lifestyle you’ve built, we will be there. 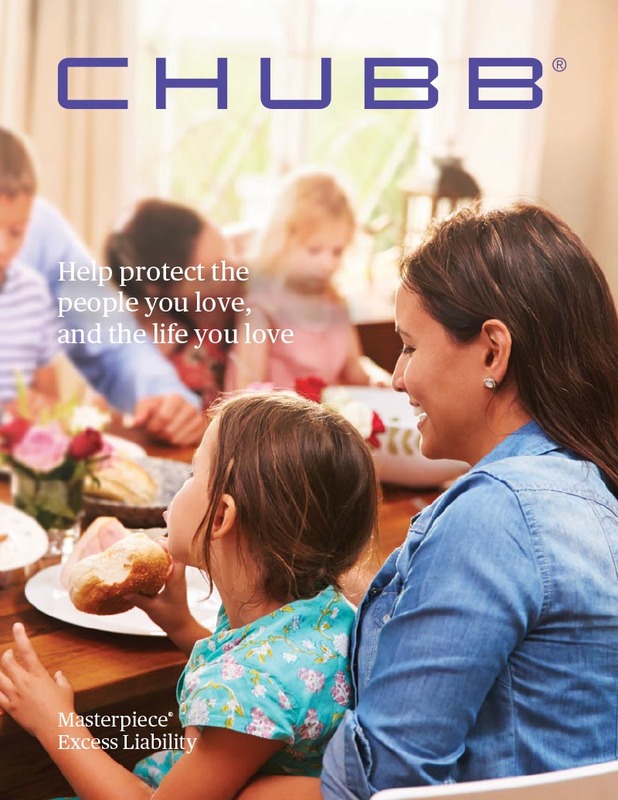 AIG Private Client Group, a division of the member companies of American International Group, Inc. (AIG), offers up to $100 million in coverage to safeguard your family and assets against claims of personal injury or property damage. 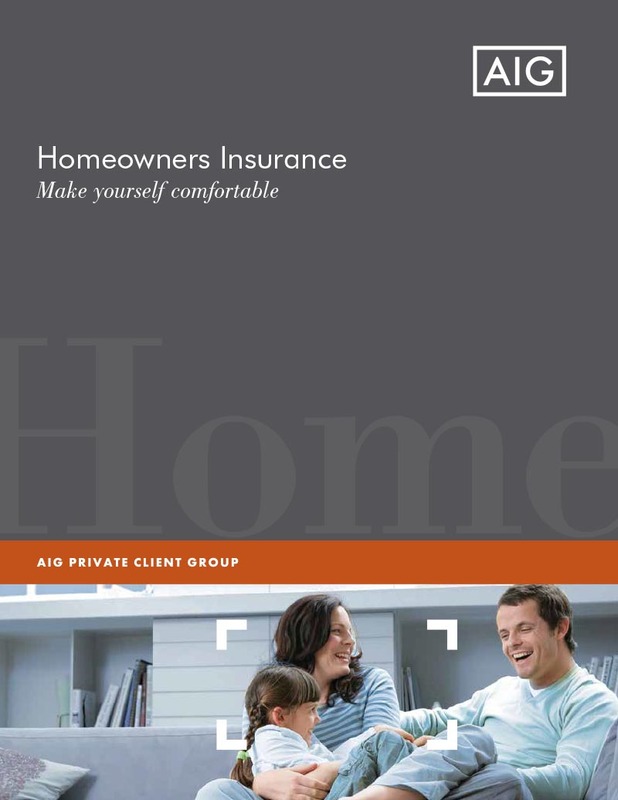 AIG Private Client Group, a division of the member companies of American International Group, Inc. (AIG), is pleased to offer a range of coverage options to supplement your homeowners’ insurance. Equipment breakdown coverage reduces out-of-pocket expenses and minimizes the hassles associated with lengthy and disruptive repairs. We appreciate the dedication it takes to build a unique collection—of artwork, jewelry, wine, antiques or virtually any other rarities—and we share your attention to detail when it comes to insuring it. 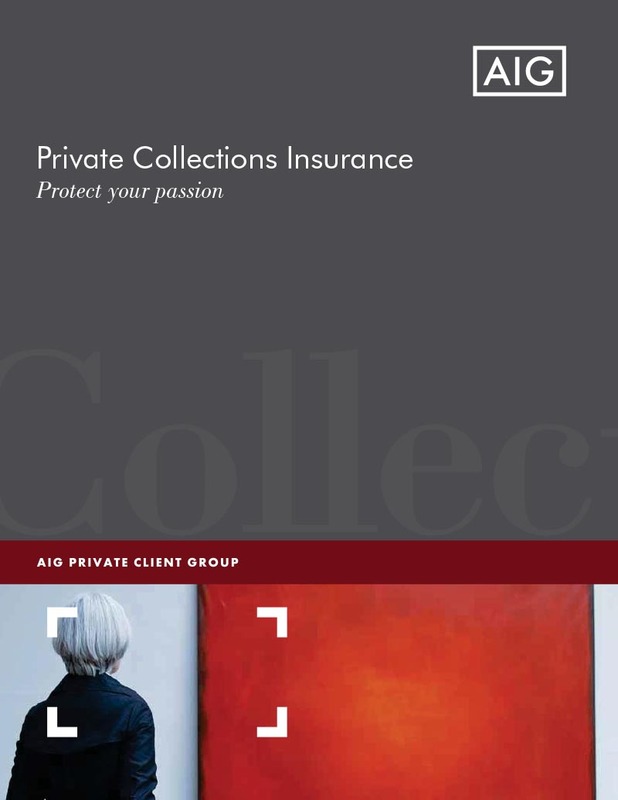 AIG Private Client Group, a division of the member companies of American International Group, Inc. (AIG), can curate a thorough plan to safeguard your prized possessions, as if they were our own. It took a lot more than a license to get into your vehicles. We understand the success necessary to attain the finest craftsmanship on wheels—and AIG Private Client Group, a division of the member companies of American International Group, Inc. (AIG), shares your passion for keeping it protected. We can design an elegant but powerful insurance plan around your driven lifestyle, so you can focus on the road ahead. 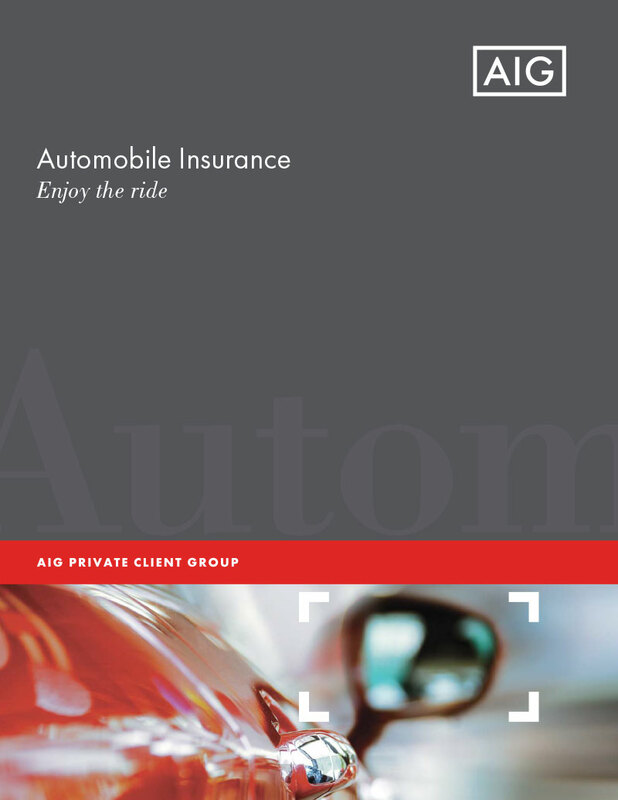 AIG Private Client Group offers automobile coverage with unlimited capacity, high deductible options, worldwide coverage, new vehicle replacement, and more. See full details in this brochure. 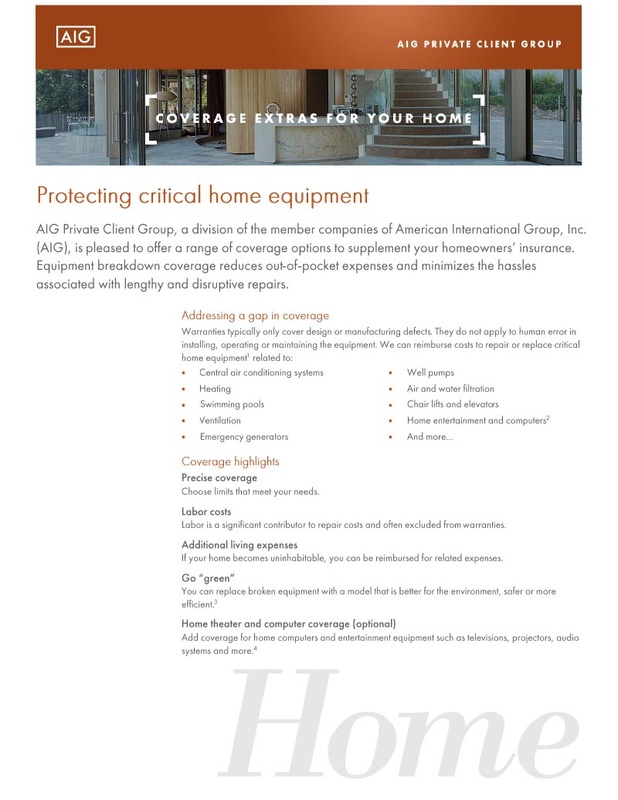 AIG Private Client Group, a division of the member companies of American International Group, Inc. (AIG), is pleased to offer a range of coverage options to supplement your homeowners’ insurance. 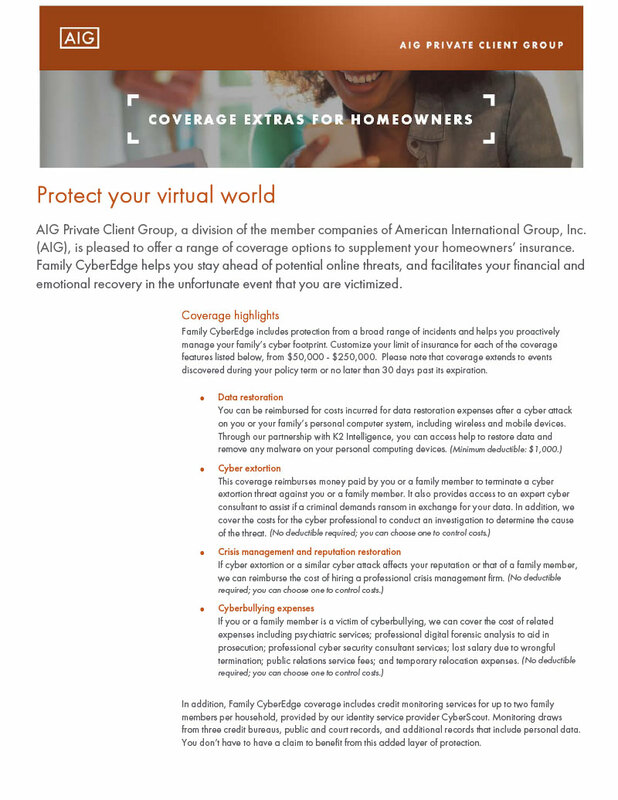 Family CyberEdge, AIG’s Cyber Coverage product, helps you stay ahead of potential online threats, and facilitates your financial and emotional recovery in the unfortunate event that you are victimized. 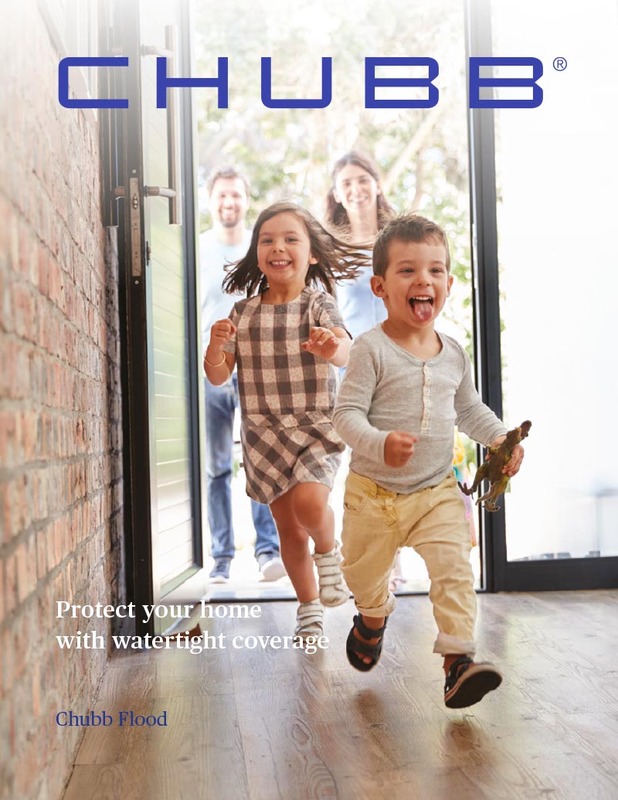 When your client is shopping around for high value homeowners, umbrella, flood, valuable articles and a number of other coverages, Ironshore Private Client can provide the protection they need. 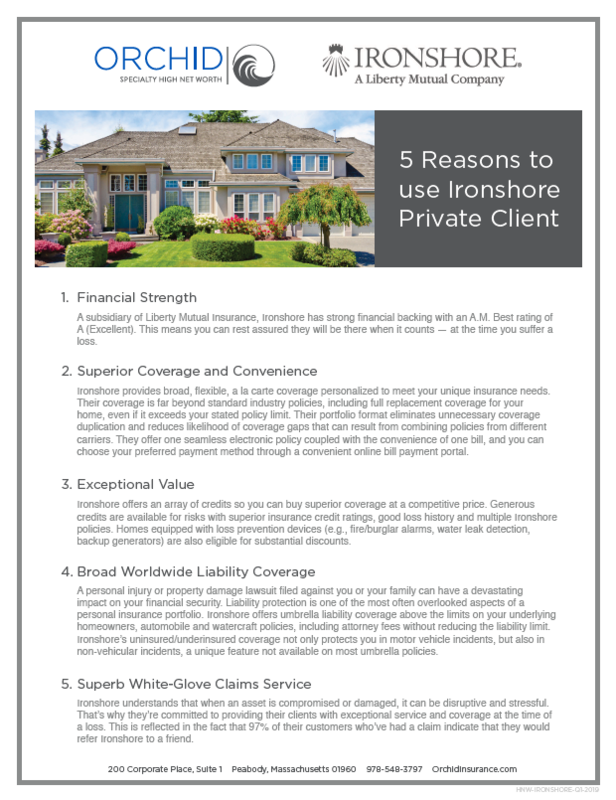 Check out the top five reasons to choose Ironshore Private Client. 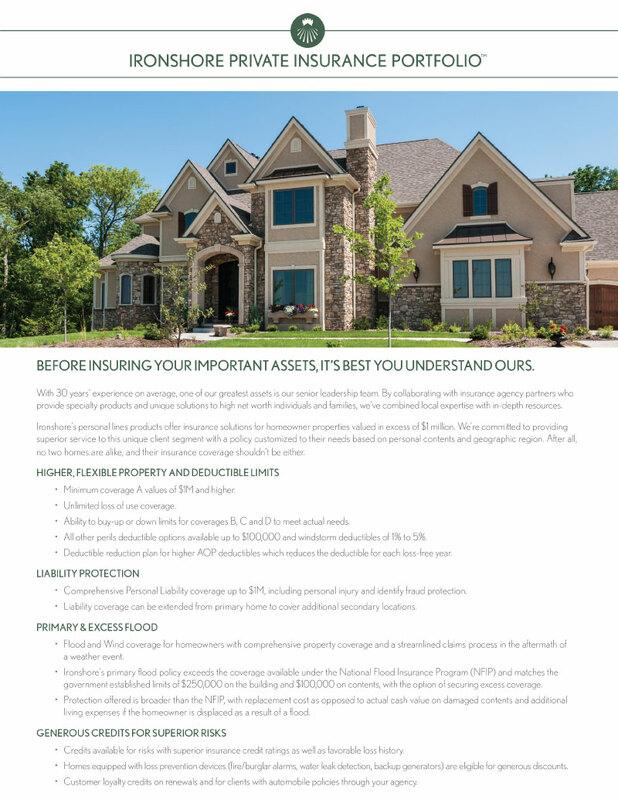 Ironshore’s personal lines products offer insurance solutions for homeowner properties valued in excess of $1 million. We’re committed to providing superior service to this unique client segment with a policy customized to their needs based on personal contents and geographic region. After all, no two homes are alike, and their insurance coverage shouldn’t be either. The Ironshore Private Insurance Portfolio provides coverage which far surpasses standard industry policies. In addition, the portfolio design reduces coverage gaps and eliminates costly coverage duplications which can occur when combining policies from different carriers. Coverages may also be tailored to meet your unique needs resulting in greater efficiency and lower cost since you don’t pay for coverages you don’t need. 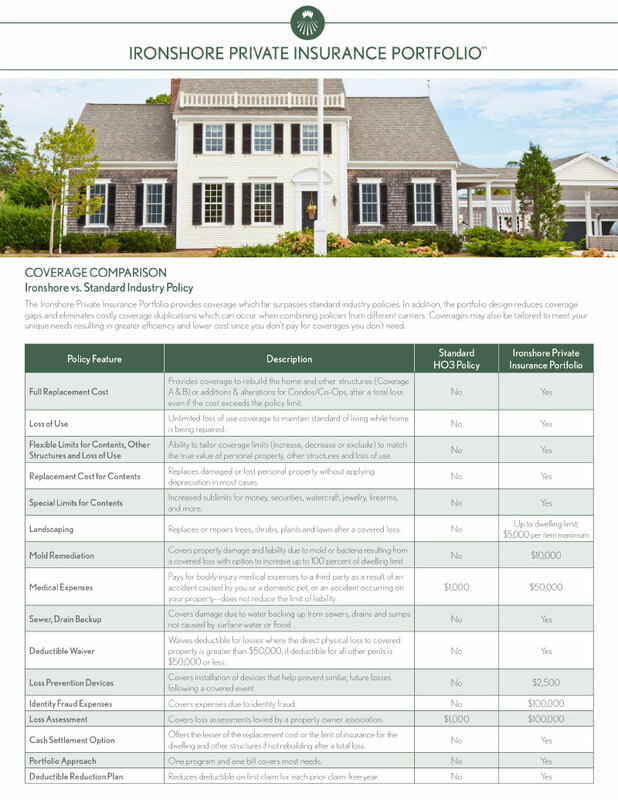 This comprehensive chart on Ironshore Private Client Group products includes details on Homeowners, Valuable Articles, and Umbrella coverages. Today’s homes are filled with complex systems, electronics, and gadgets. 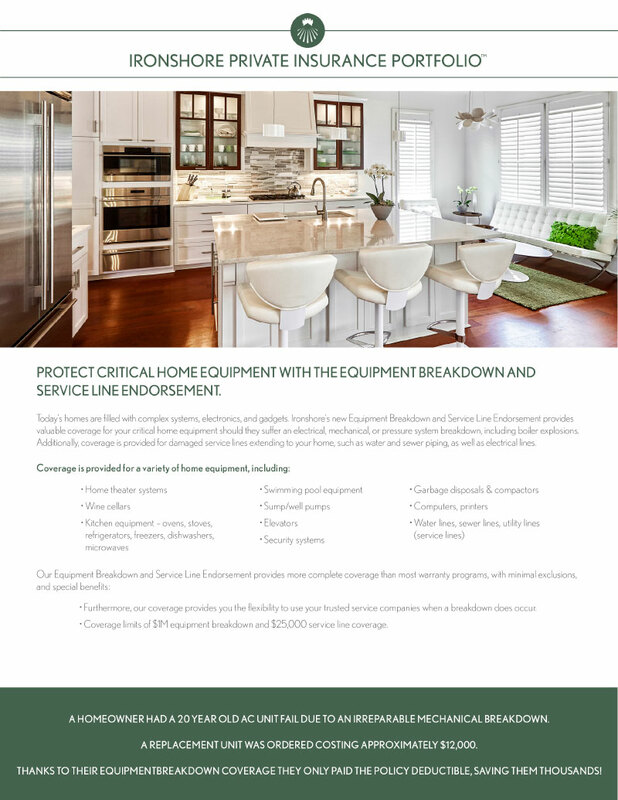 Ironshore’s new Equipment Breakdown and Service Line Endorsement provides valuable coverage for your critical home equipment should they suffer an electrical, mechanical, or pressure system breakdown, including boiler explosions. Additionally, coverage is provided for damaged service lines extending to your home, such as water and sewer piping, as well as electrical lines. 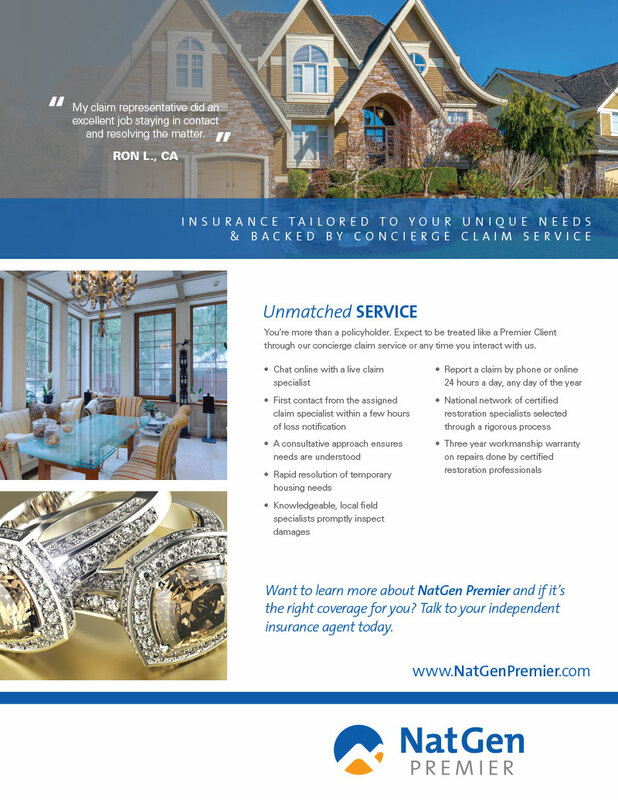 NatGen Premier is insurance tailored to your unique needs and backed by concierge claim service. 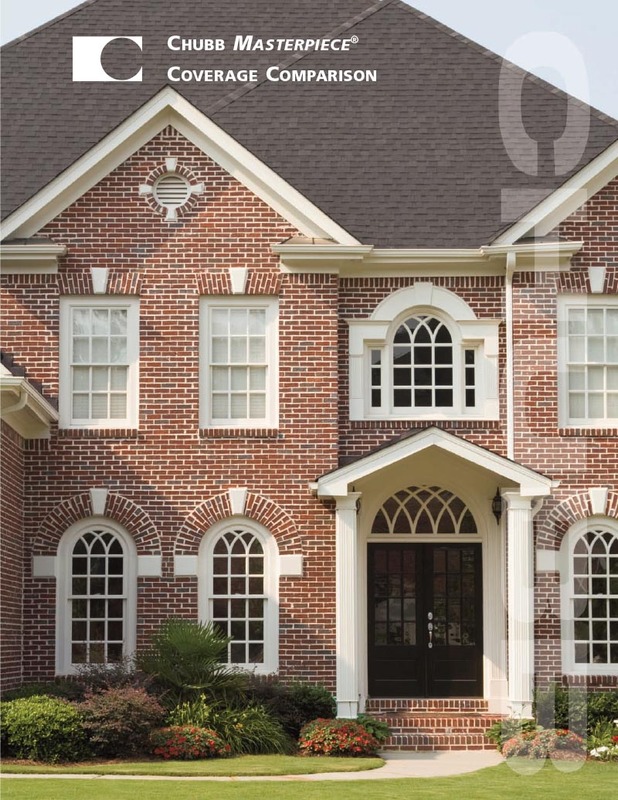 Connecticut, Massachusetts, New Jersey and New York: Premier Client is the best choice for your premier homeowners business. Premier Client homeowners coverage offers your elite customers protection beyond the standard coverage offered by most other carriers. 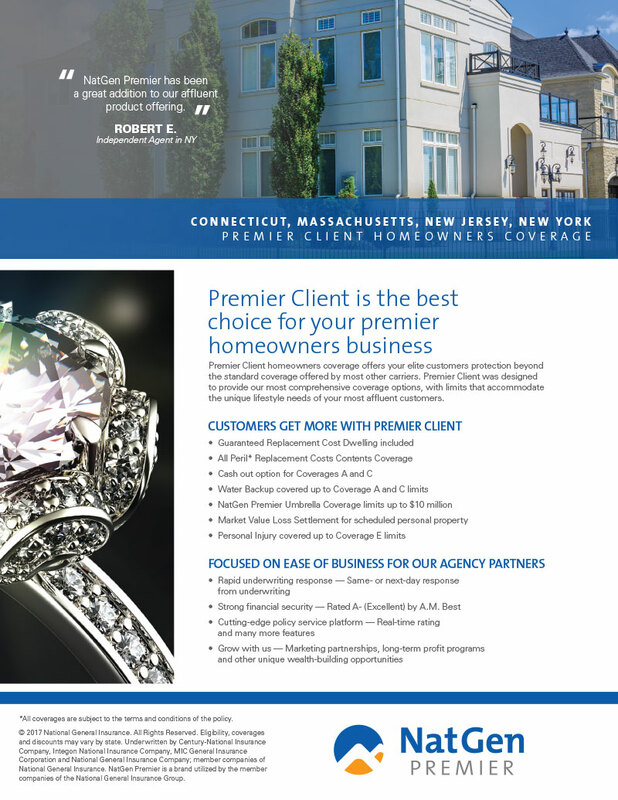 Premier Client was designed to provide our most comprehensive coverage options, with limits that accommodate the unique lifestyle needs of your most affluent customers. 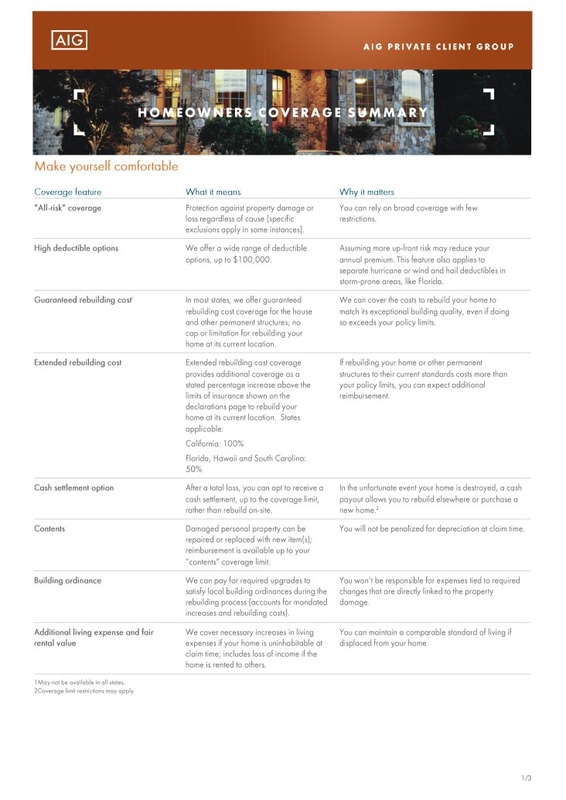 Many people aren’t aware that their standard homeowners policy may not cover the replacement cost or even repair of the important systems they depend on in their homes — heating and cooling, electrical, etc. 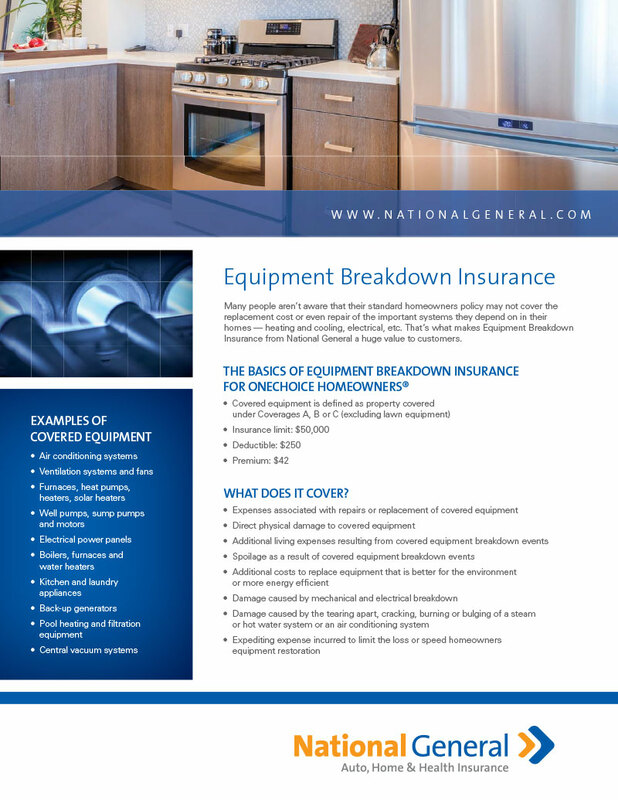 That’s what makes Equipment Breakdown Insurance from National General a huge value to customers. 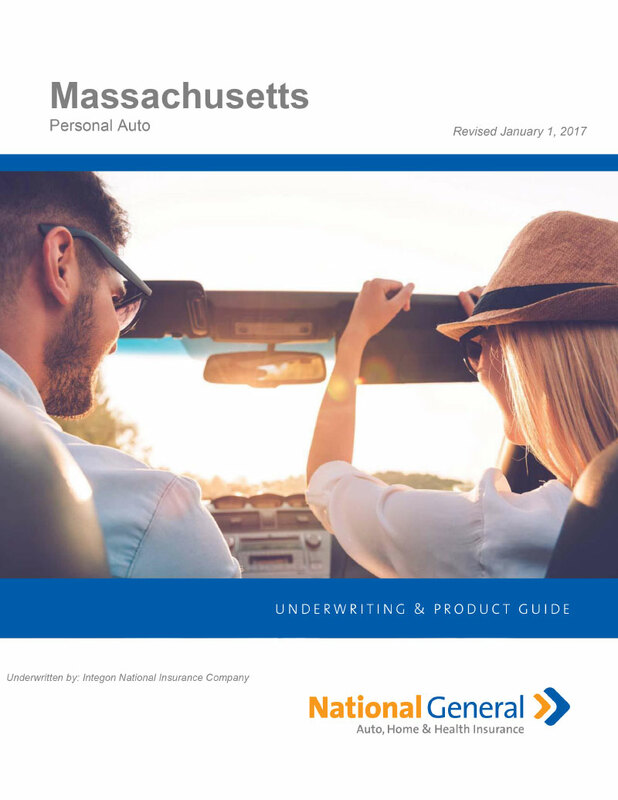 Find underwriting guidelines on NatGen’s Massachusetts Personal Auto product.